211 Bernard: TONIGHT: Anansi Poetry Evening! 7pm. TONIGHT: Anansi Poetry Evening! 7pm. 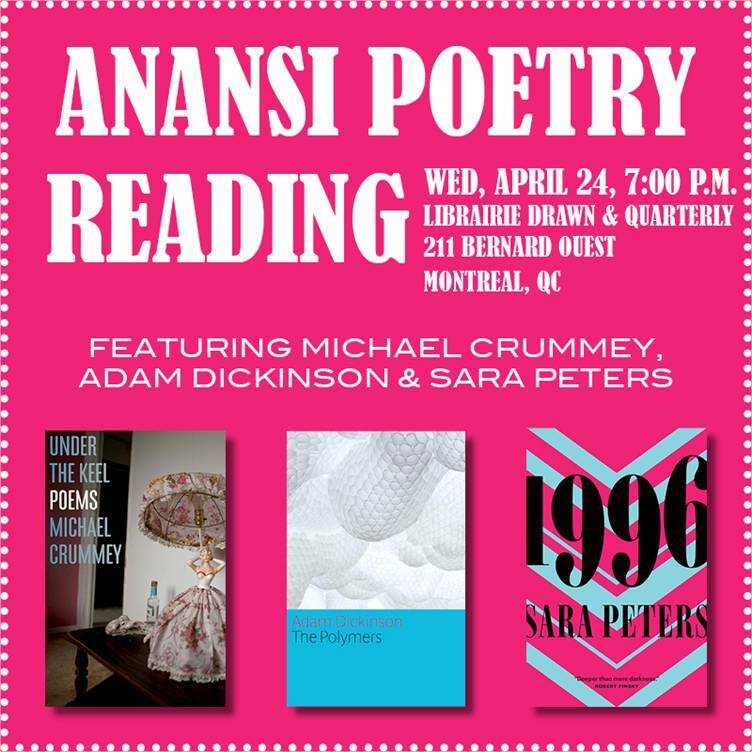 Join us tonight for an evening of poetry, featuring readings from the new books of Anansi poets Michael Crummey (Under the Keel), Adam Dickinson (The Polymers), and Sara Peters (1996). Under the Keel is the brilliant new collection from Newfoundland’s Michael Crummey, the bestselling author of Galore. Bring your friends so you all don't miss this together! 211 Bernard Ouest, 7pm!